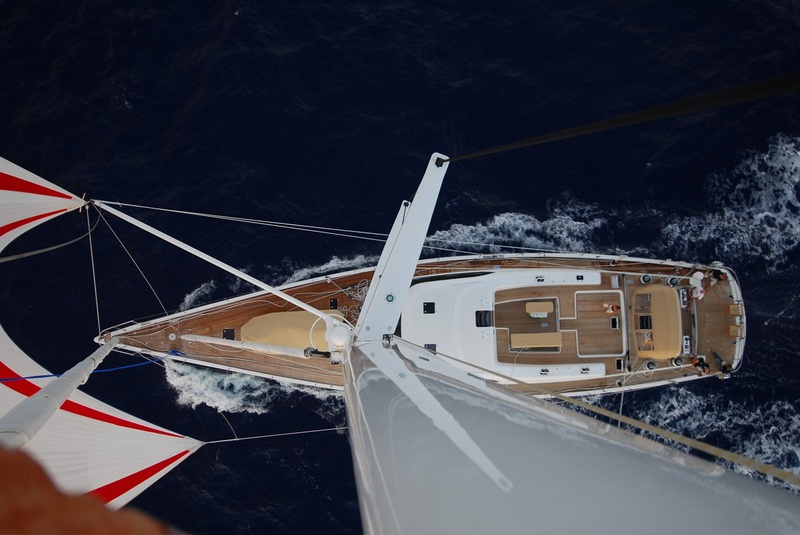 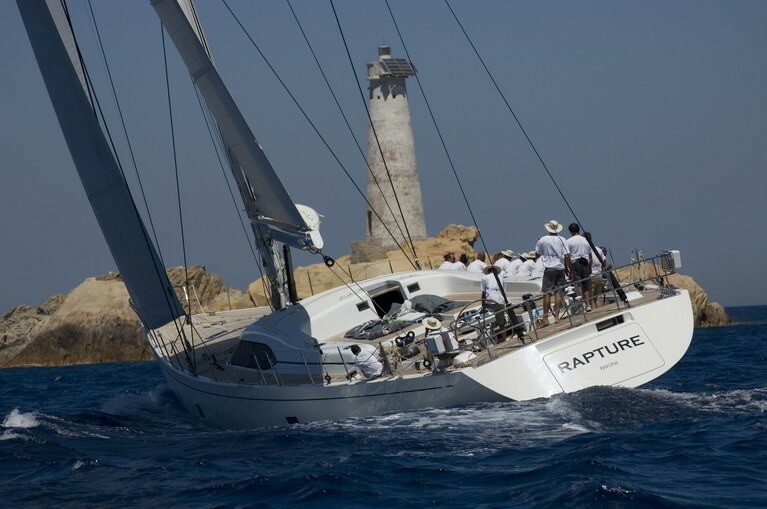 S/Y RAPTURE is a 30,19m (99’) 2007 Southern Wind 100DS with naval architecture by the famous Bruce Farr Yacht Design and interior design by Nauta Design. 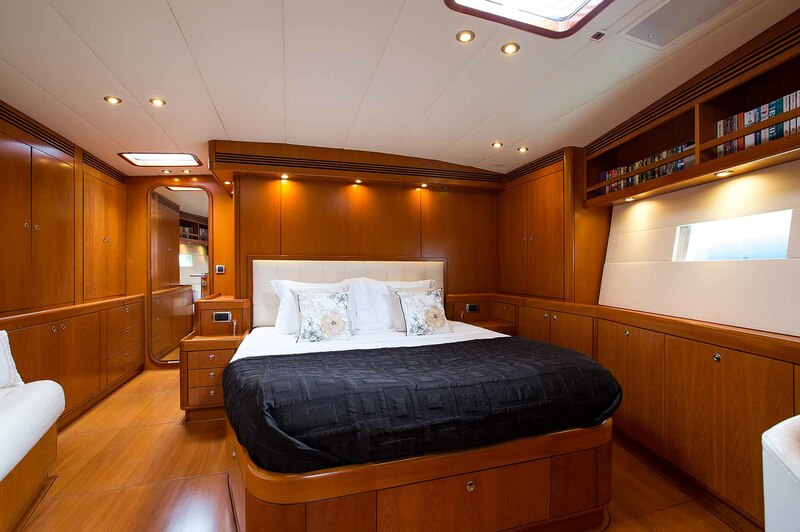 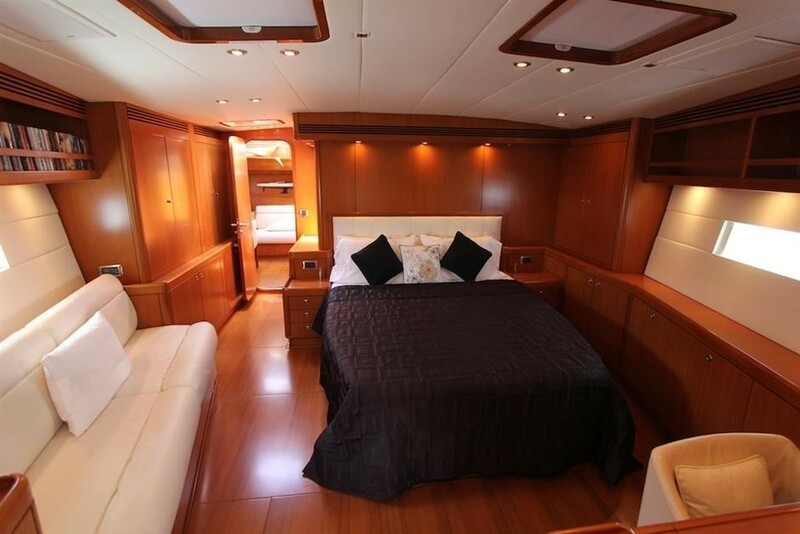 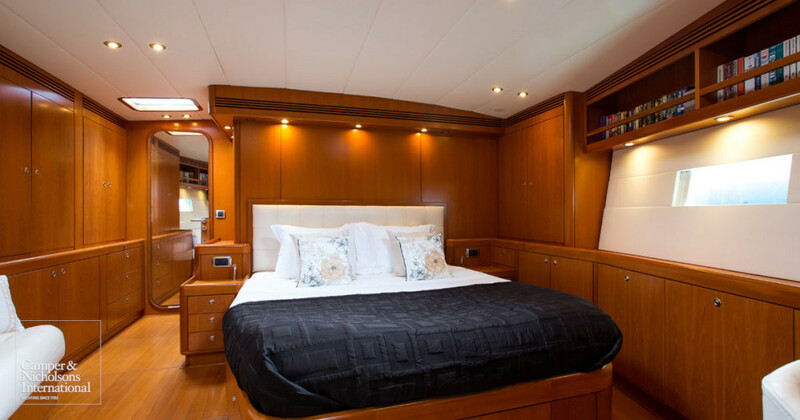 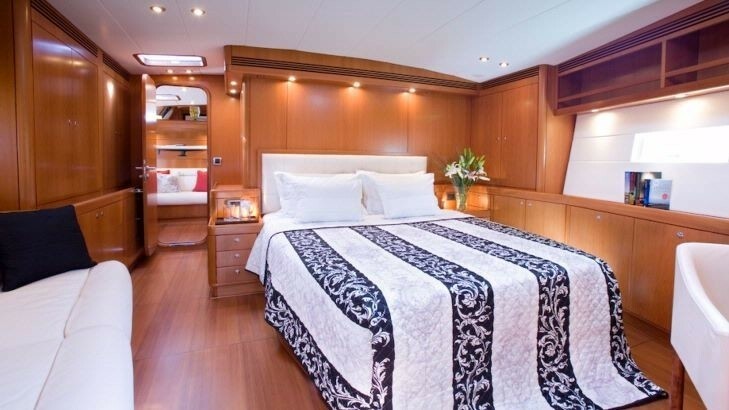 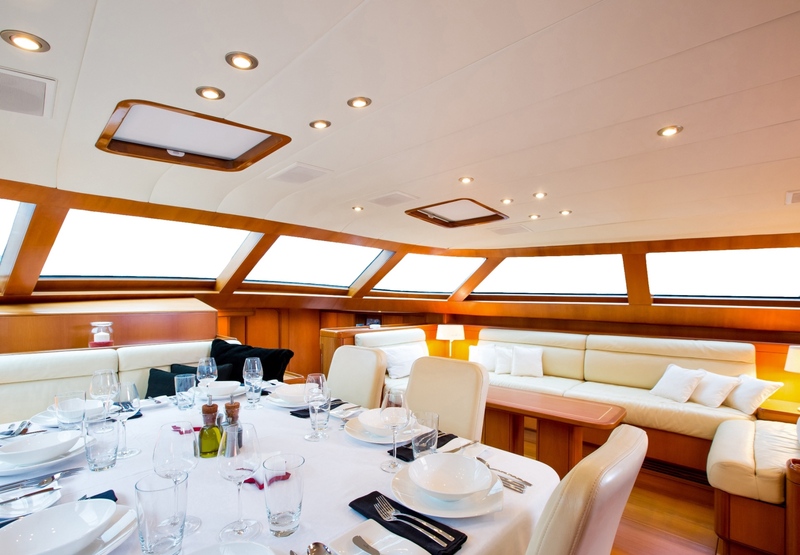 She is able to accommodate up to 8 guests overnight in 4 cabins – 2 double and 2 twin. 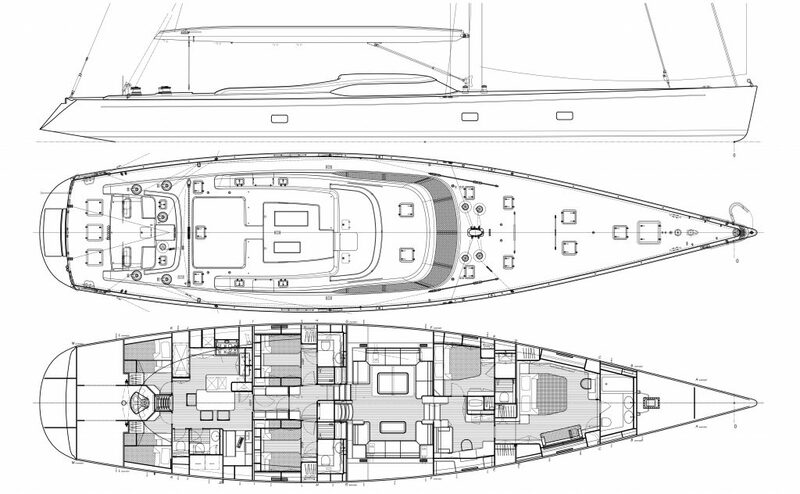 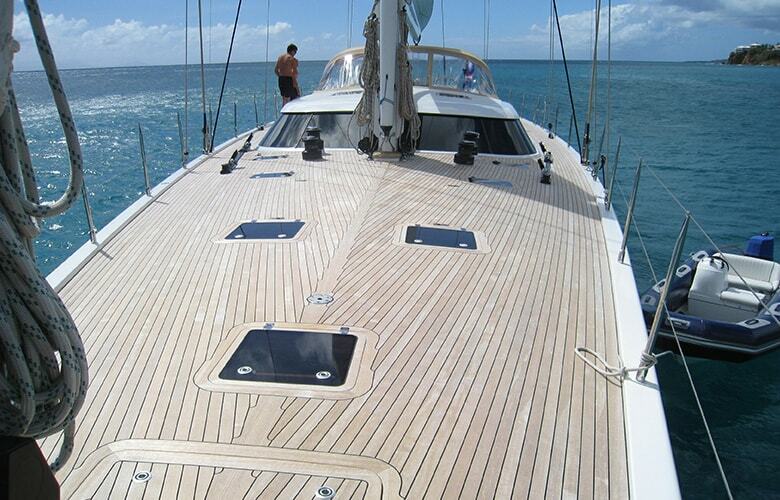 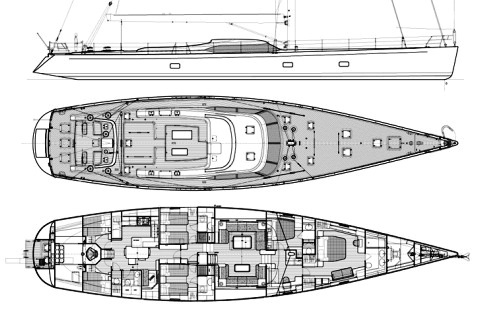 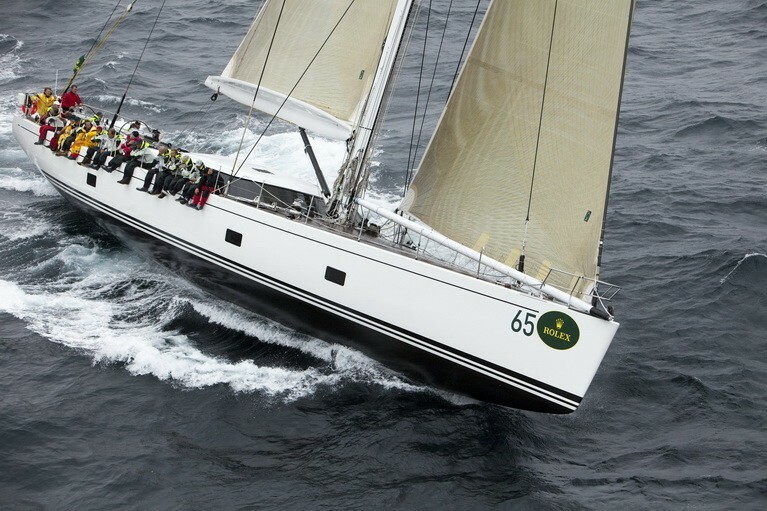 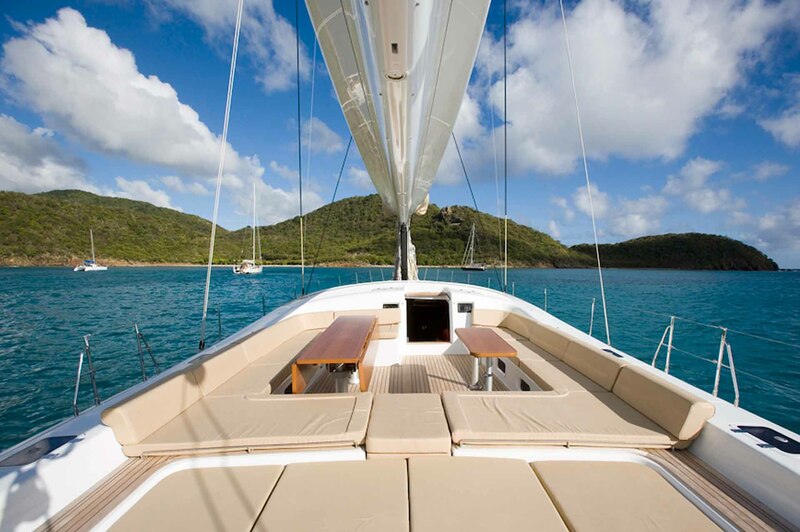 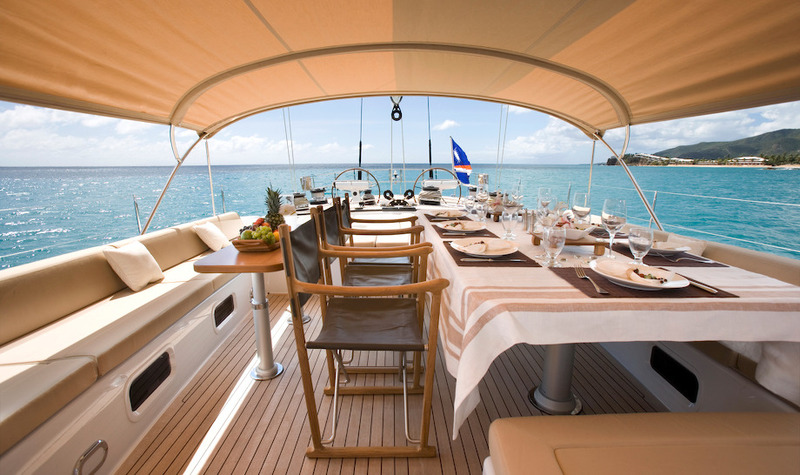 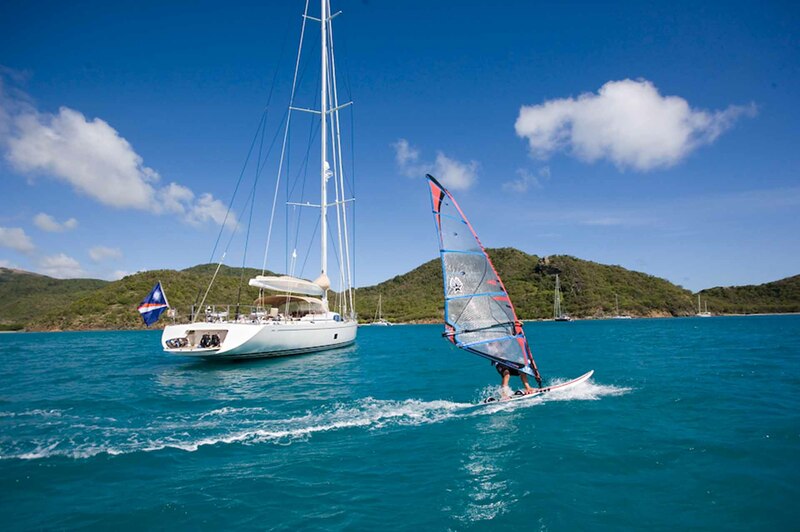 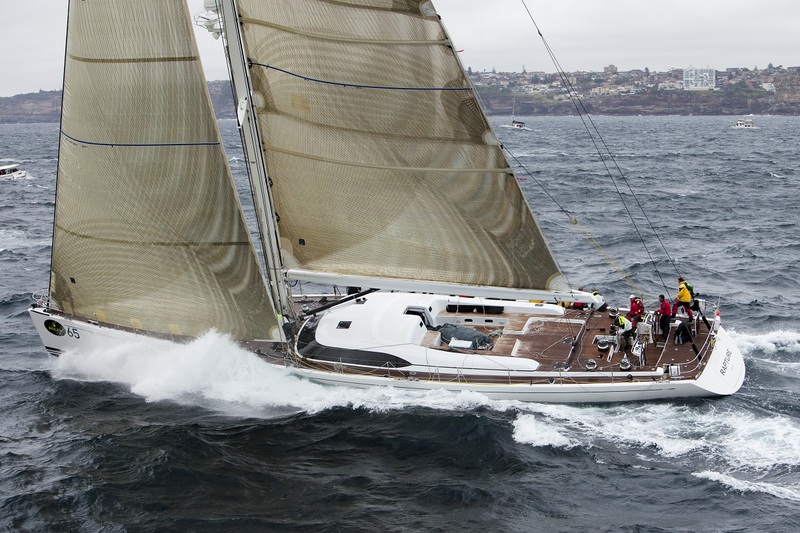 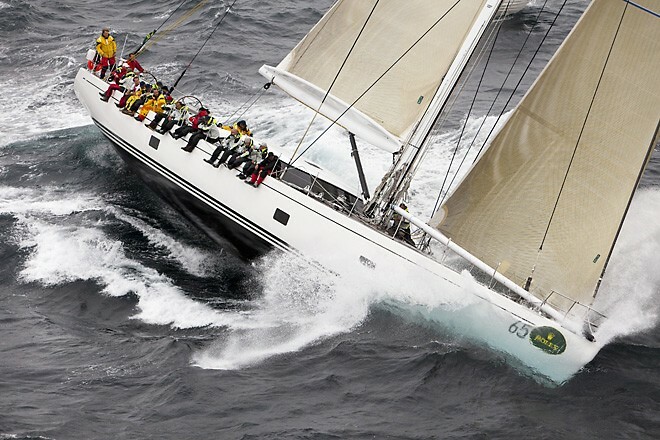 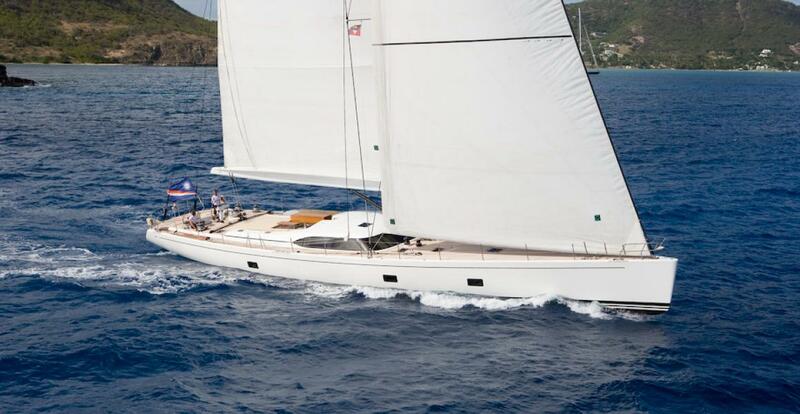 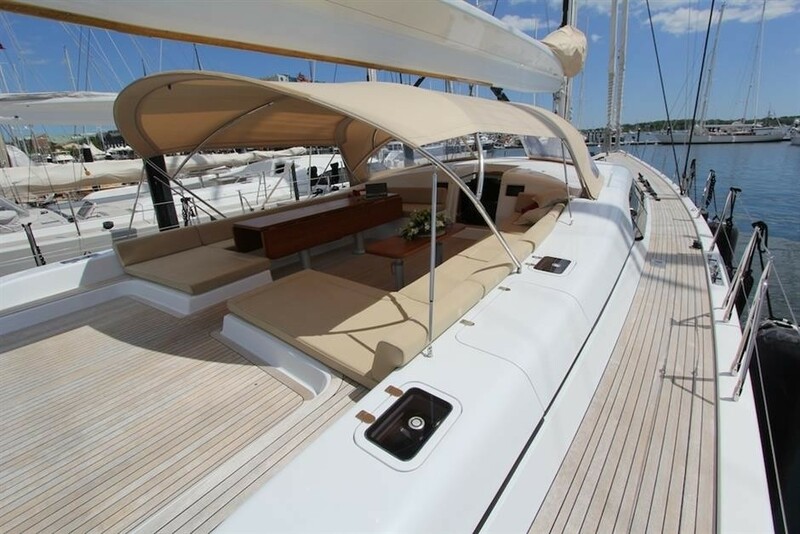 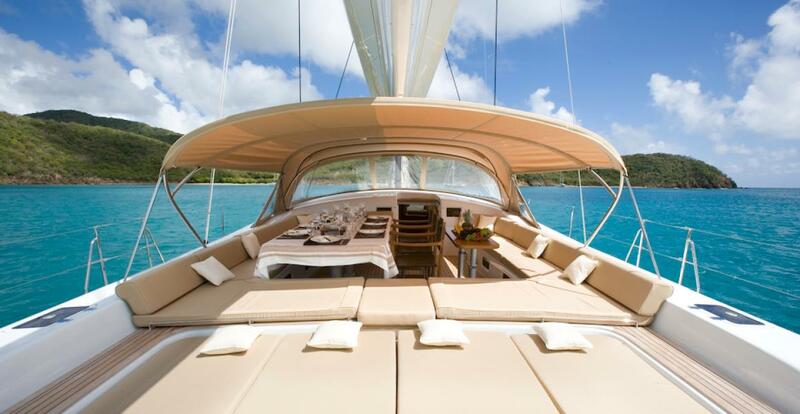 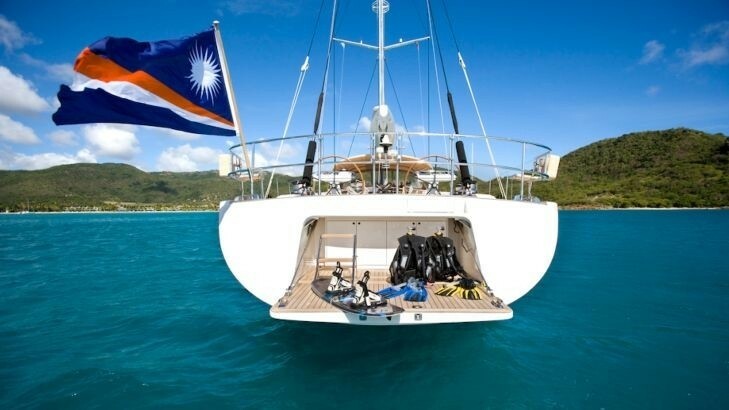 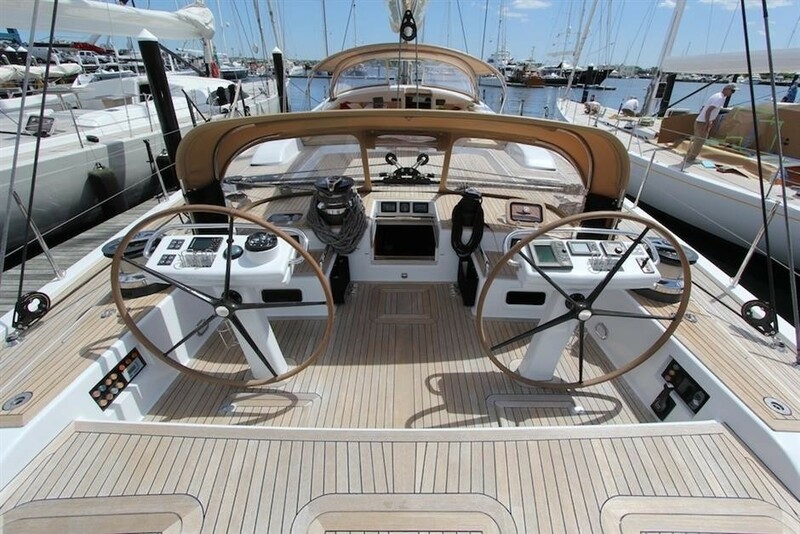 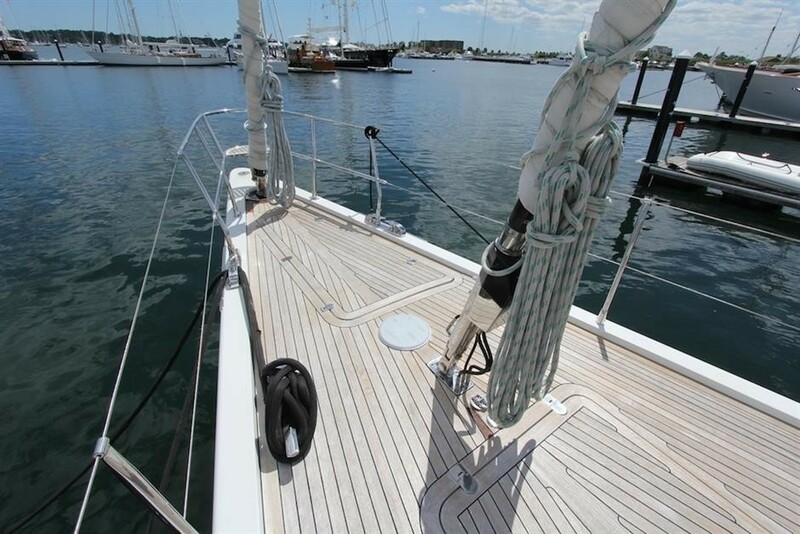 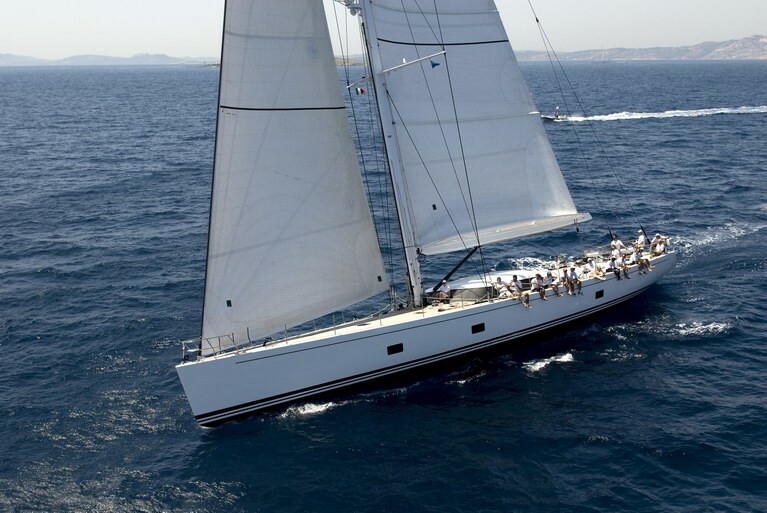 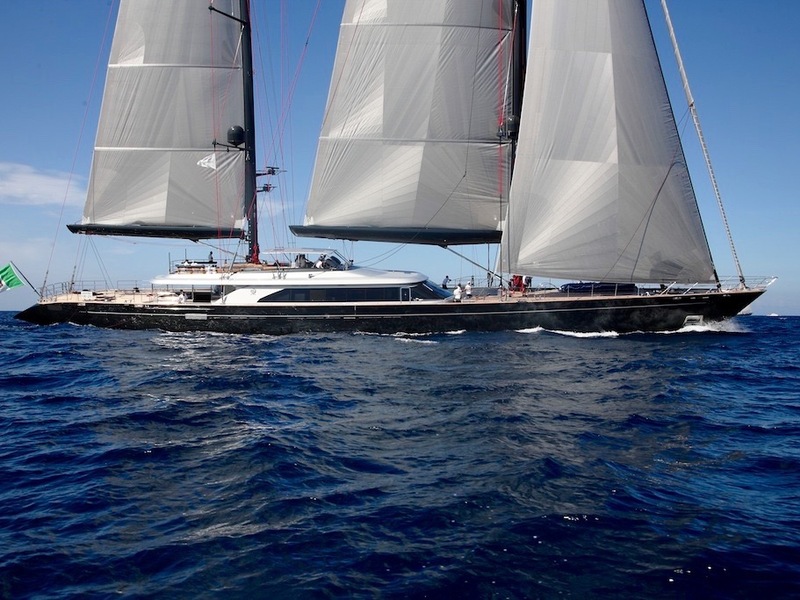 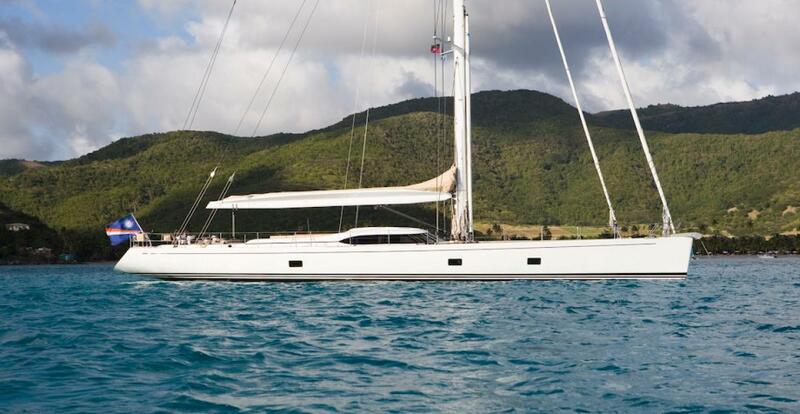 This powerful sailing yacht offers style, comfort and performance. 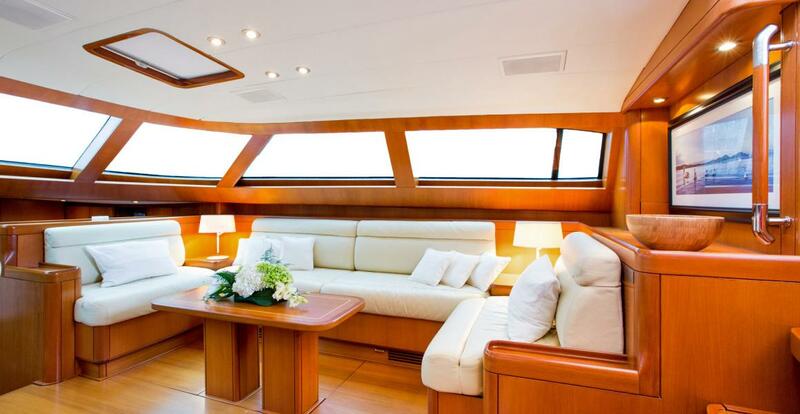 NOTABLE FEATURES: Voluminous and bright salon ~ High tech ~ Comfortable cabins away from the noise ~ Stable and fast sailing yacht ~ Nice selection of water toys. 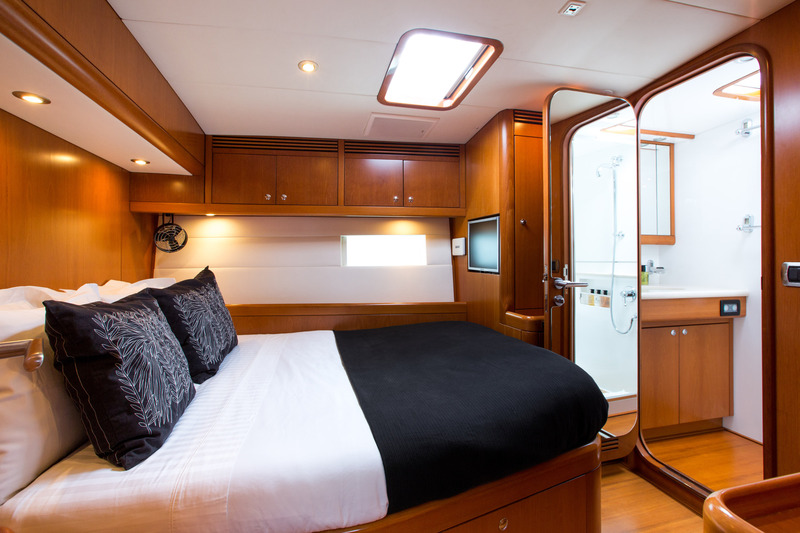 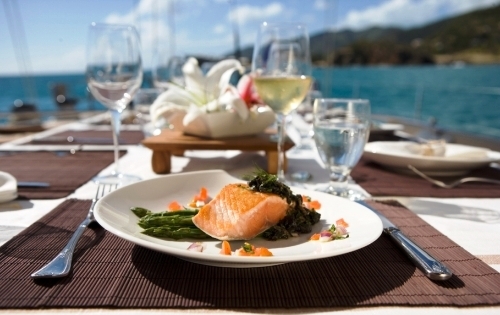 RAPTURE is beautifully designed to allow guests to cruise comfortably in luxury and style. 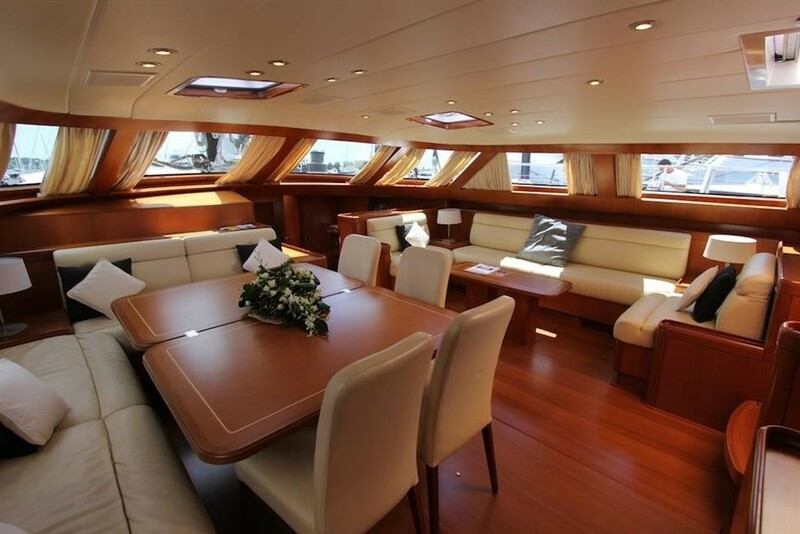 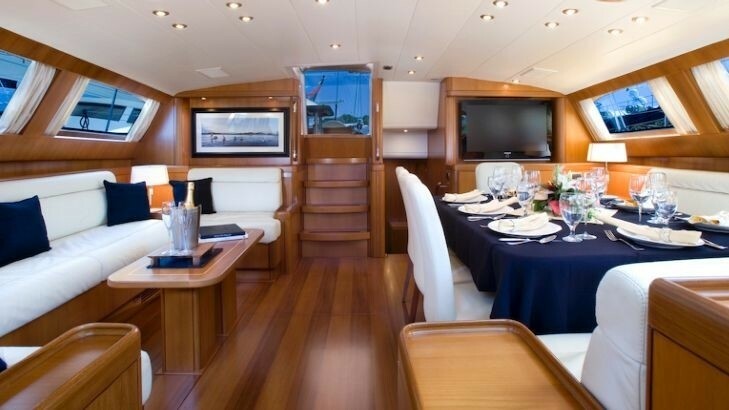 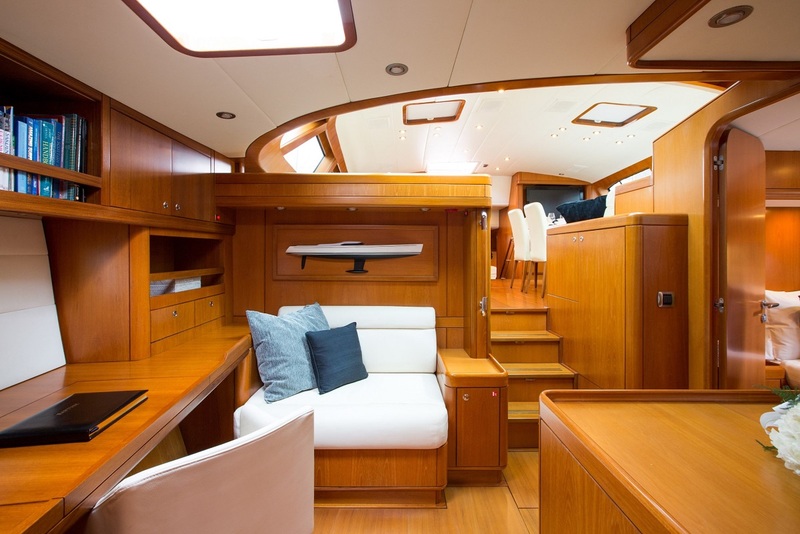 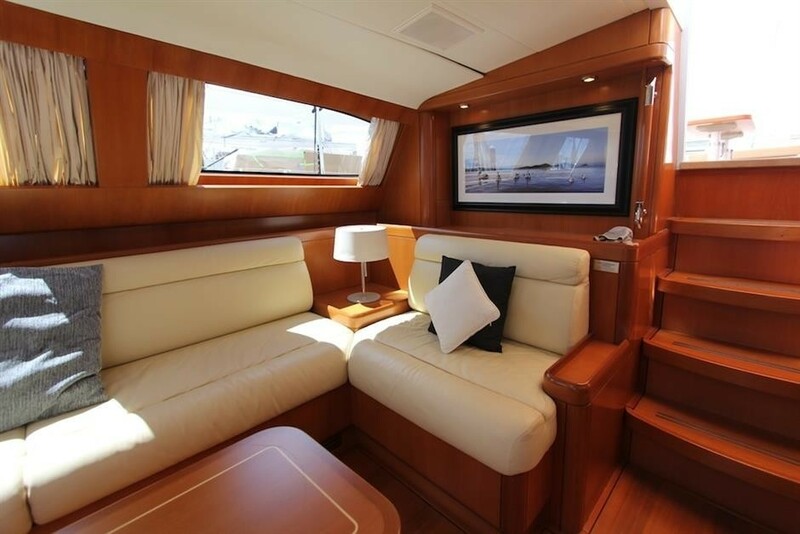 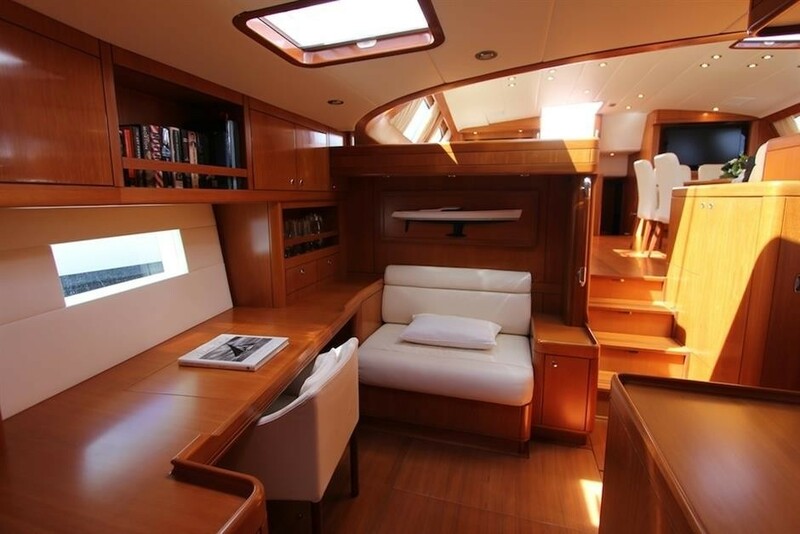 She has a voluminous saloon that includes superb visibility on 3 sides through large windows with shade blinds and sun protection and a large dining area that can fit 8 guests comfortably. 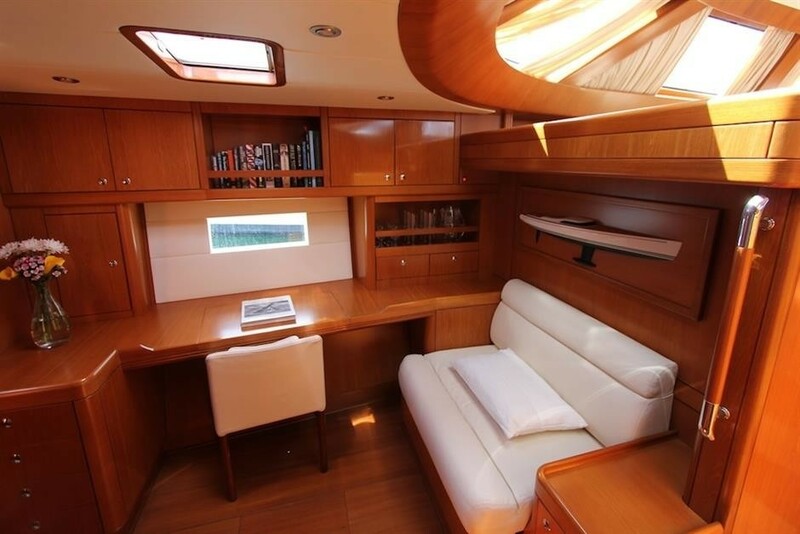 There is also a bar with glassware and fridge aft to port as well as a large flat screen TV. 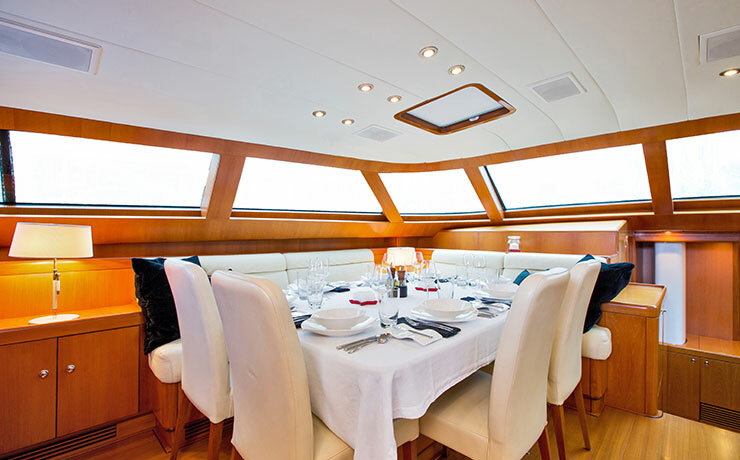 Headroom throughout is excellent which gives a light and open ambiance. 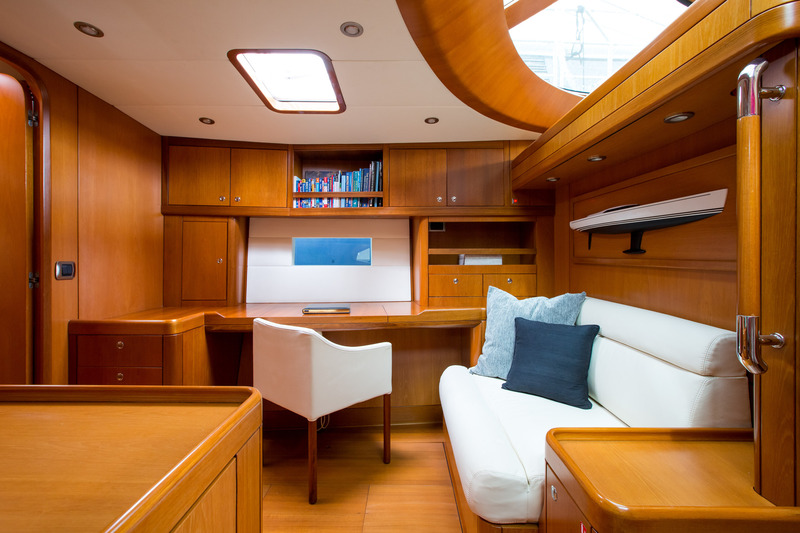 All furniture and floors are finished using high-grade teak veneer over lightweight cored sandwich construction and she incorporates high tech advanced composite carbon epoxy structure. 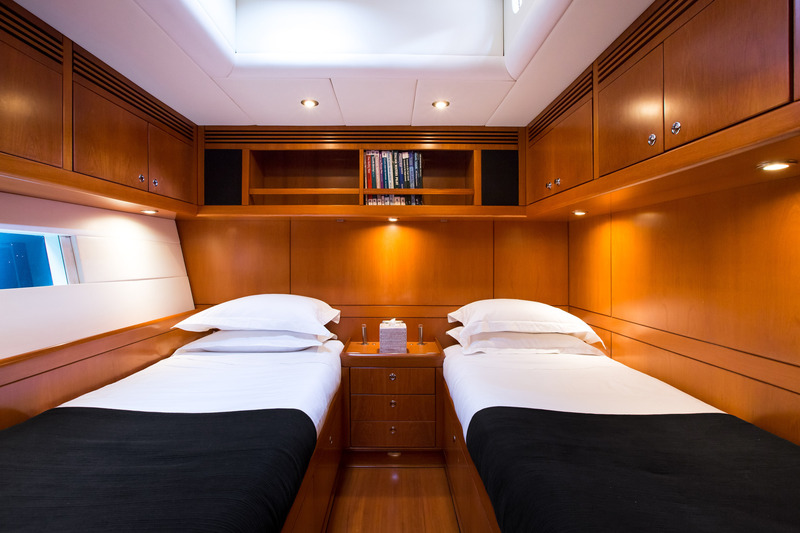 Accommodation is in 2 Double and 2 Twin bedded cabins, allowing a total of 8 guests sleeping overnight. 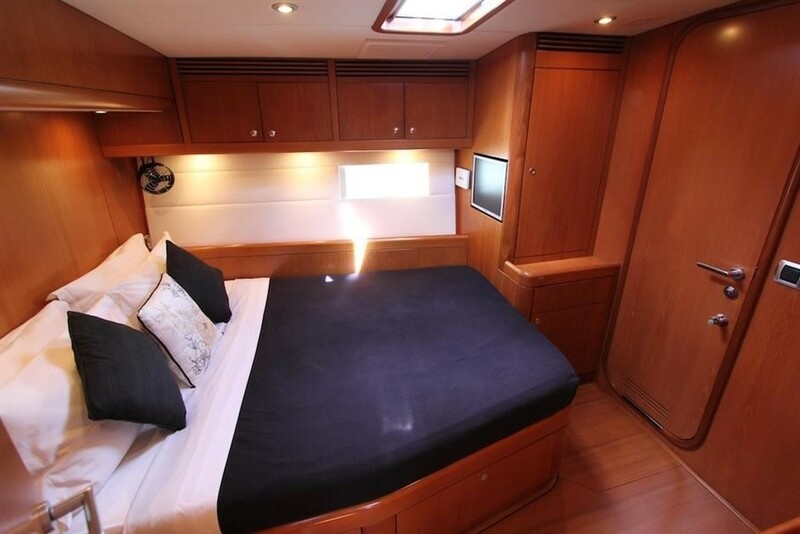 The owner studio is forward and full beam giving a King-size double bed and settee as well as a desk/make-up table and en-suite bathroom with double sinks and bath tub with shower. 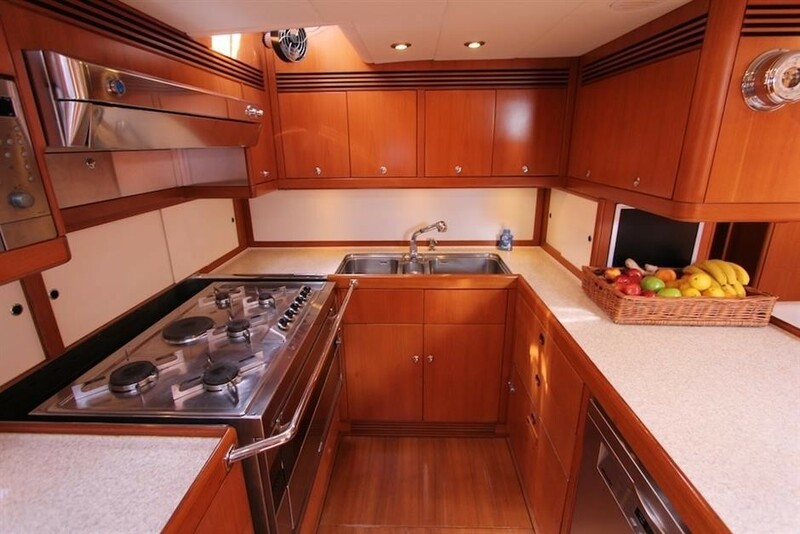 There is exceptional headroom and a study with bar fridge and icemaker too. 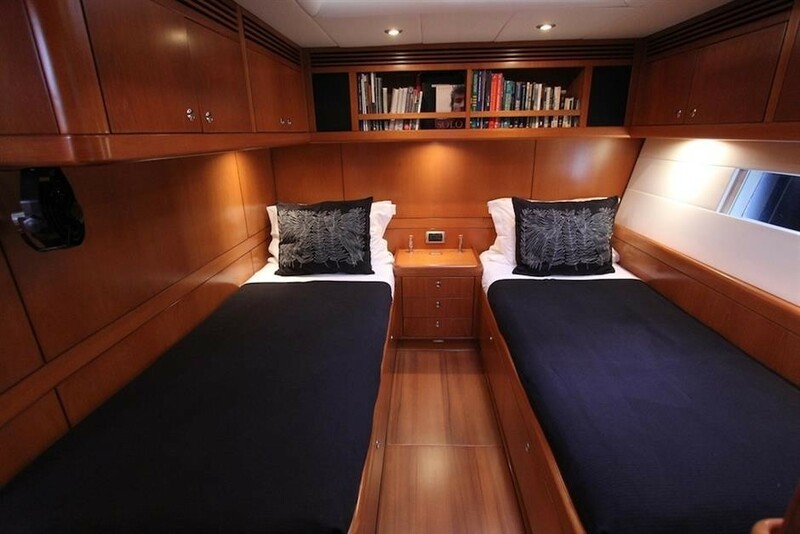 The VIP cabin is a double bed cabin to port of the owner's study, it boasts a Queens size bed with head and shower. 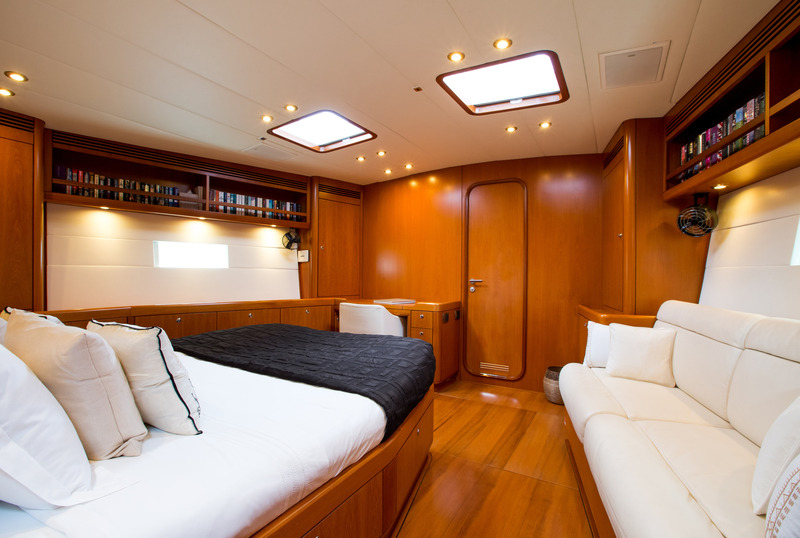 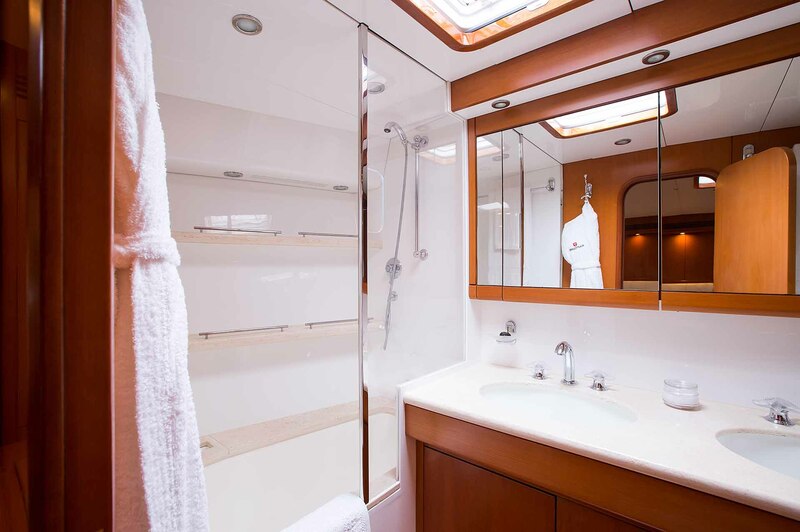 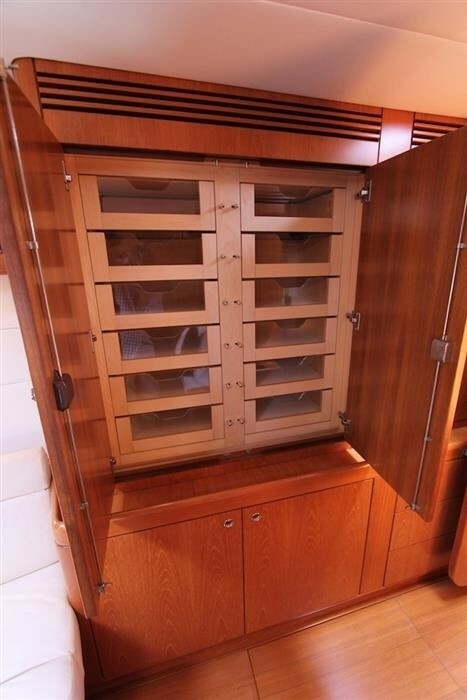 There are also two twin guest’s cabins aft of the salon, with two single berths each. 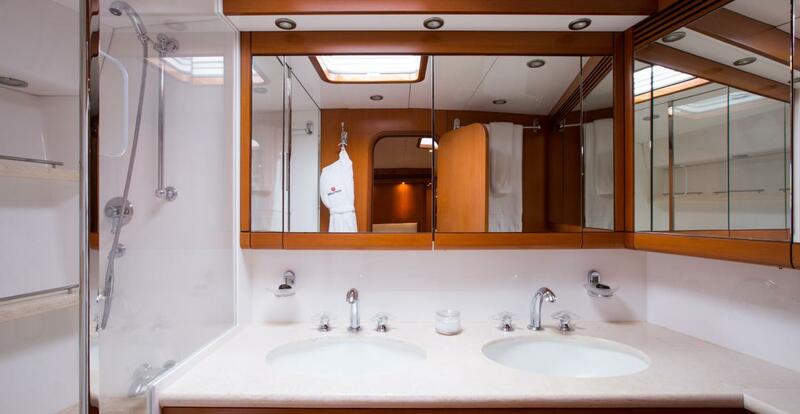 Both cabins have pullman berths and en suite facilities. 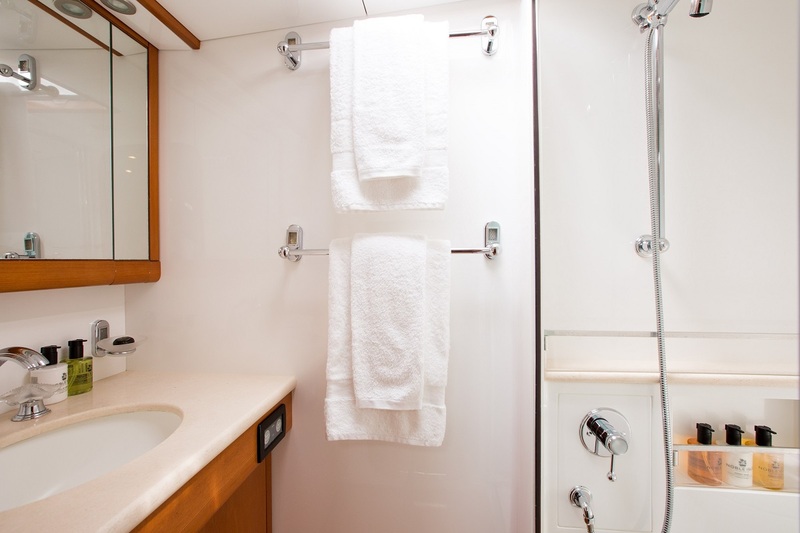 All cabins have flat screen TV's with stereo, CD, DVD and Ipod docking stations with Bluetooth connectivity. 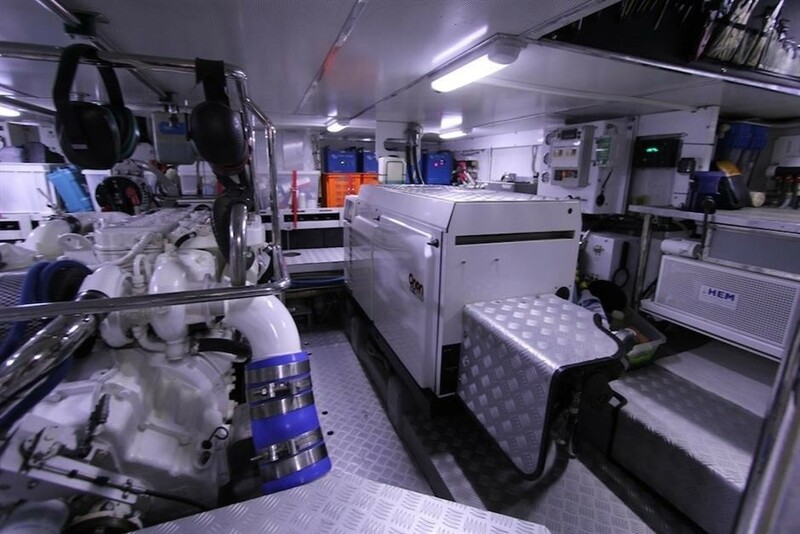 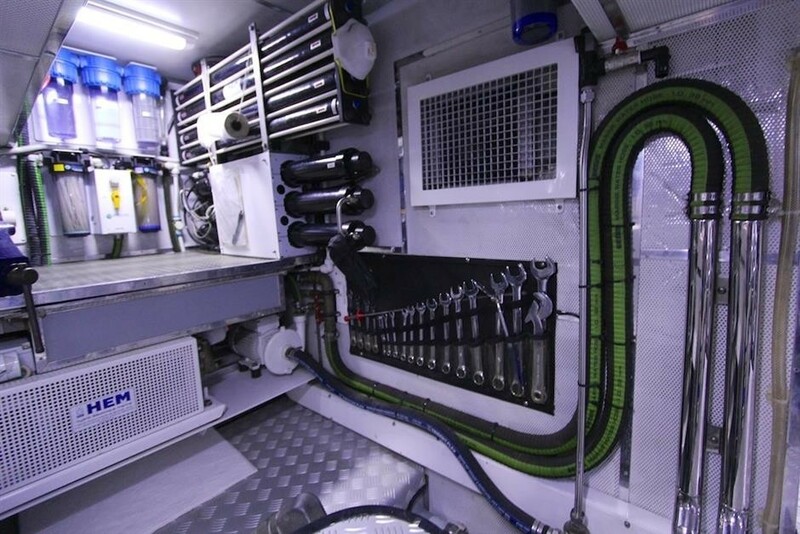 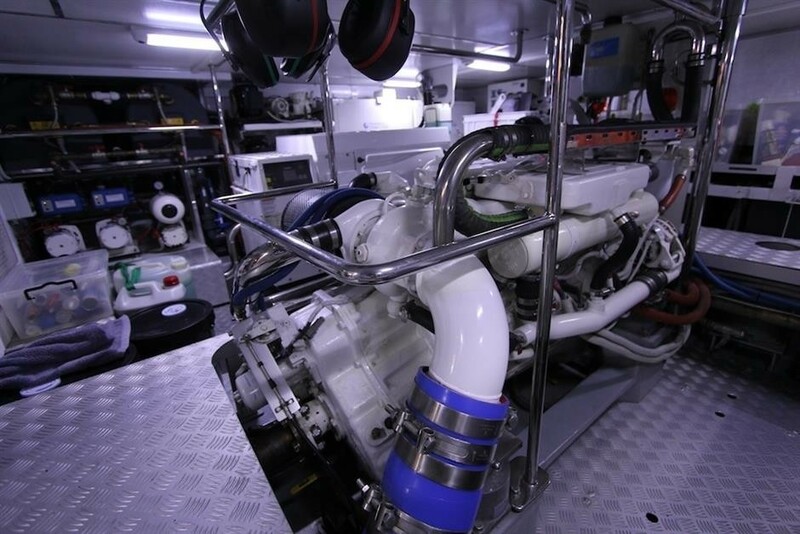 They are away from the winches and mechanical systems in an area with maximum head room and away from the noise. 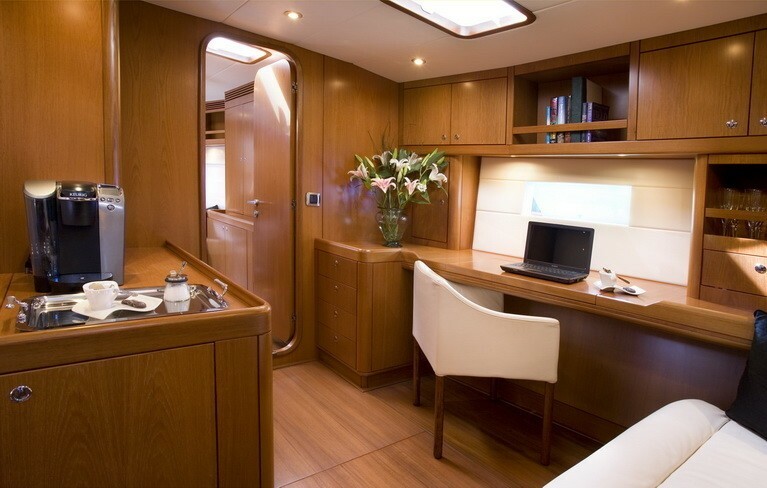 RAPTURE also provides aft independent crew quarters with a wide galley and chart table area. 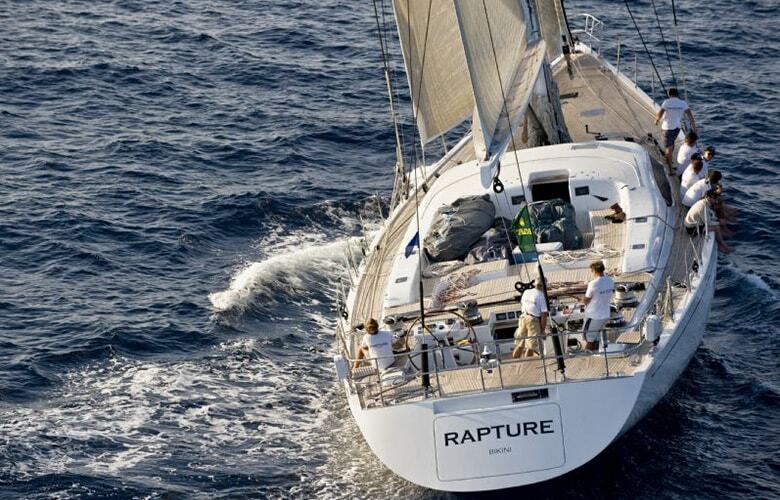 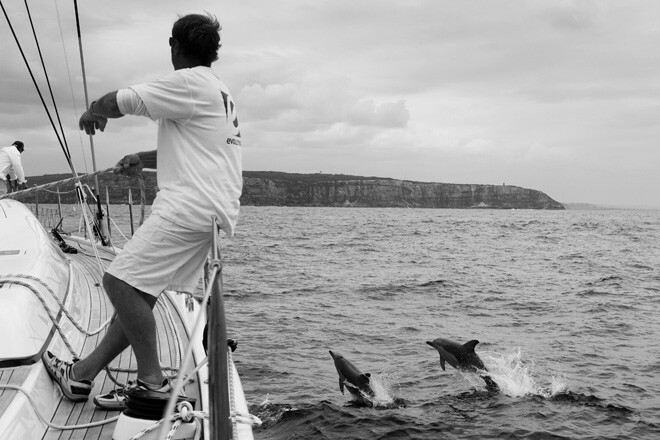 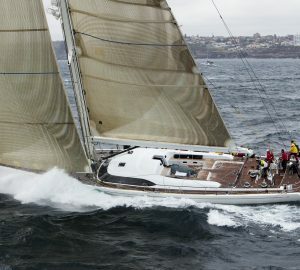 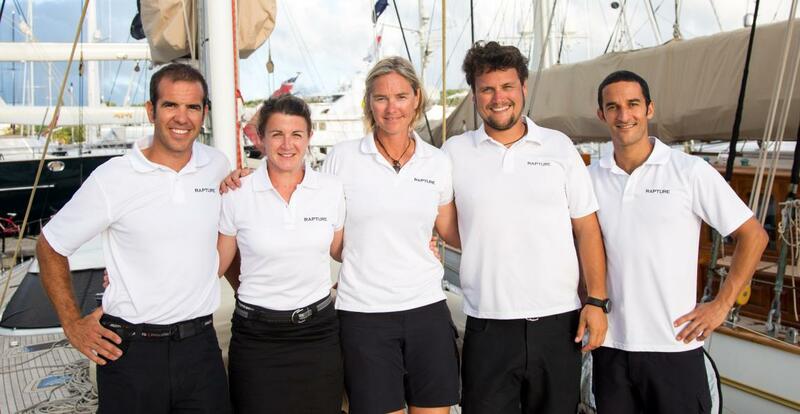 Sailing yacht RAPTURE has a 4,30m Avon with 60 hp Yamaha and a zodiac 3.5 m with 15 hp Yamaha, Water-skis, Wake board, Diving gear for 4, Snorkelling and extensive fishing gea. 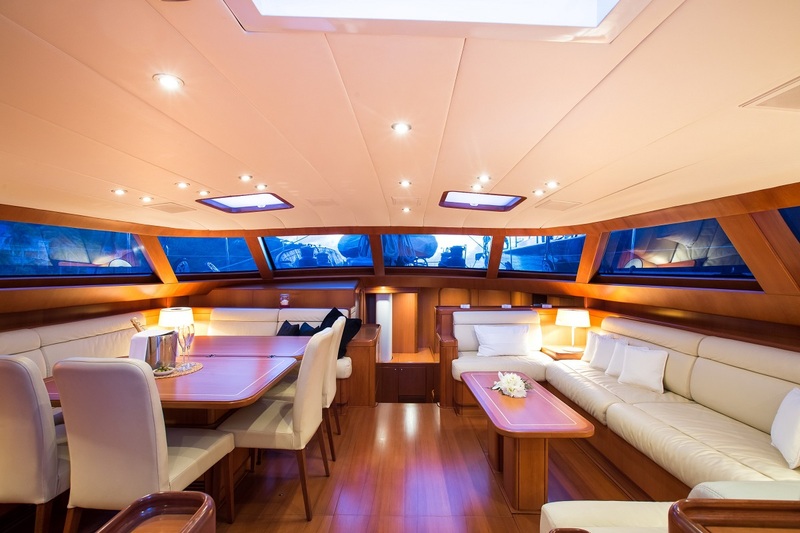 Her Audio Visual Equipment and Deck Facilities include a large flat screens in master cabin and saloon, Onkyo Integra stereo system in saloon with B&W speakers throughout. 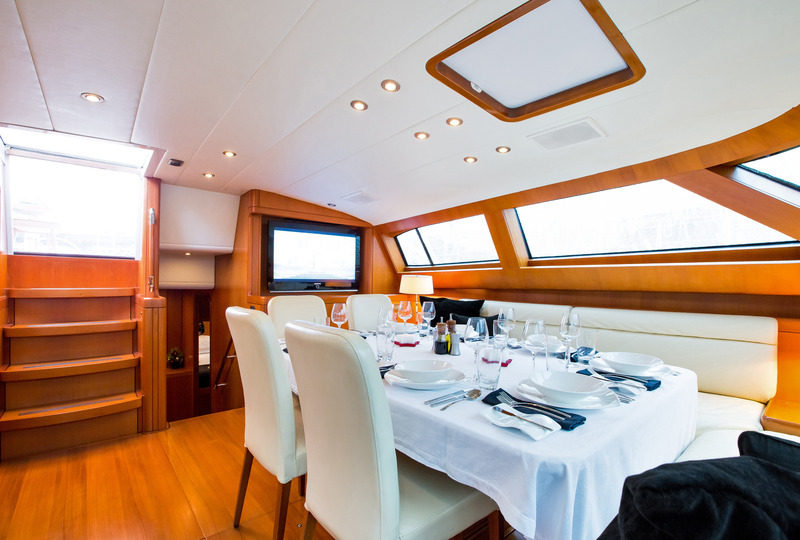 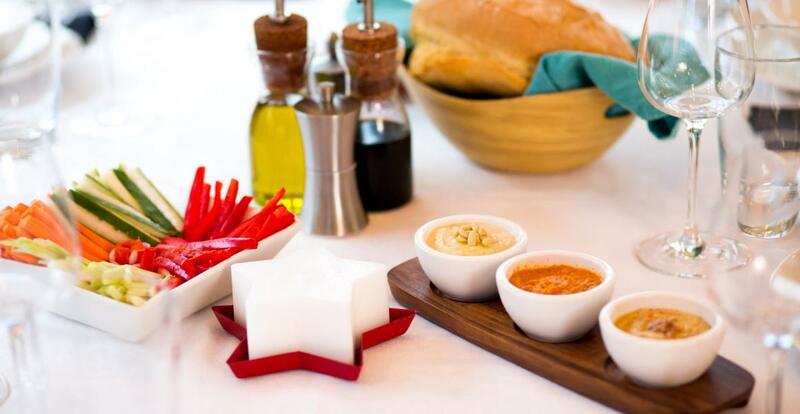 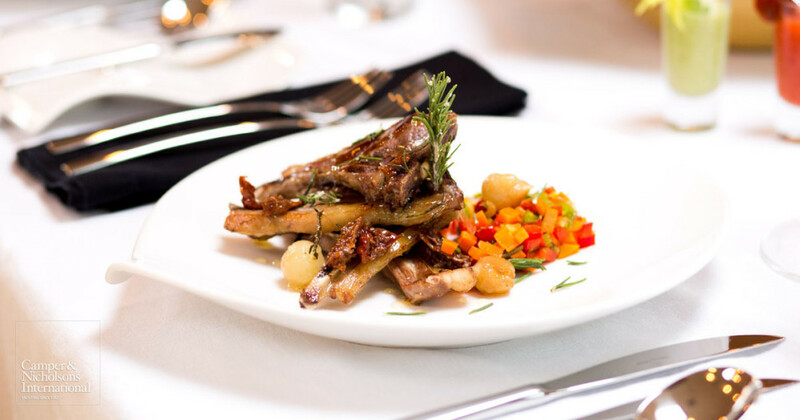 Flat screen TV in each cabin with stereo,CD,DVD and Ipod docking stations in every cabin. 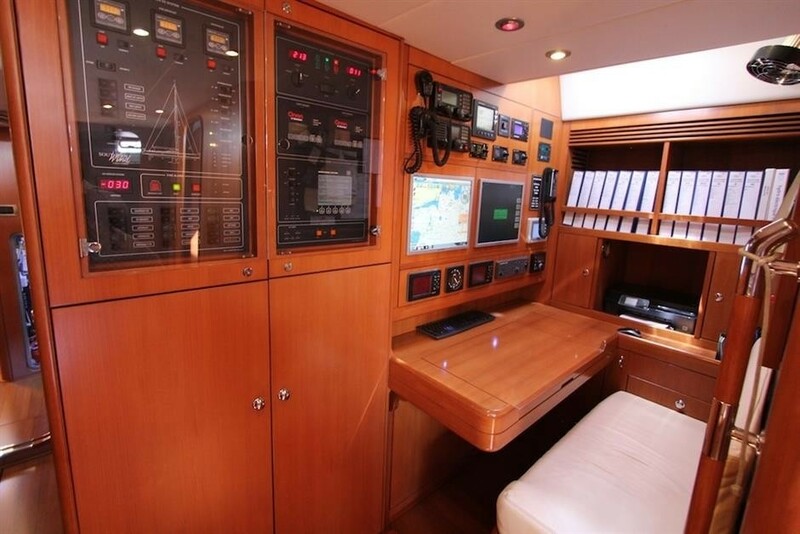 Her Communications include SSB, VHF, Radar 72 Miles, 2 GPS, 2 autopilot, 2 depth sounders, double steering. 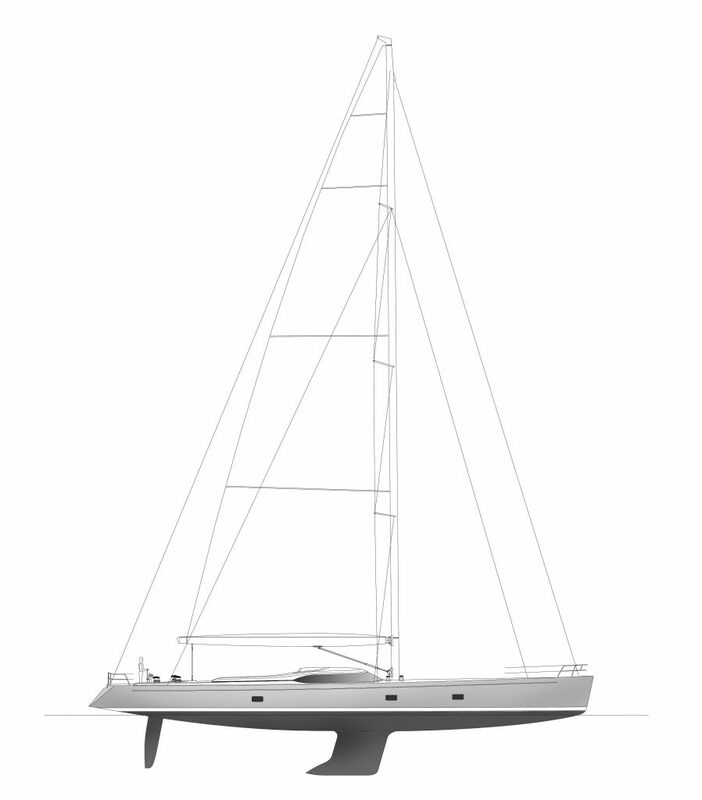 Satellite telephone, Mini M.